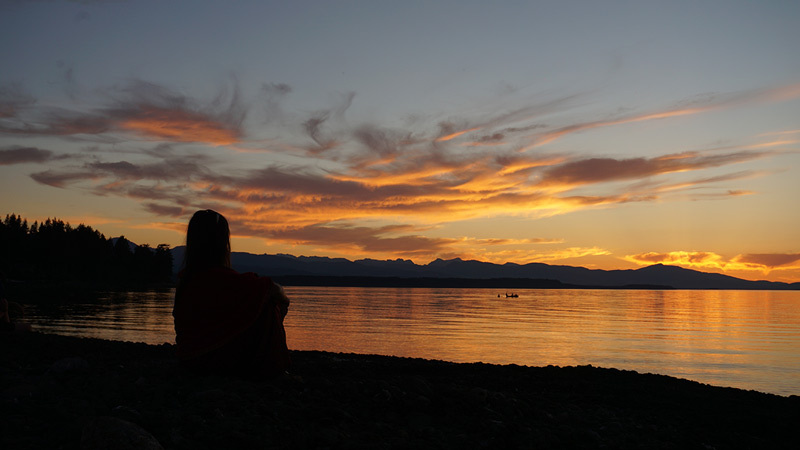 Four days on Hornby Island to find your true voice. This year, Mantranima will be hosting their first annual retreat “The Authentic Retreat: Find Your Voice” on beautiful Hornby Island. Chosen for its pristine natural setting, sunny climate, and memorable friendships, the island helps bring us back to the simple sophistication of living a genuine life. Through a series of creative workshops, music, and guided conversations, we invite you to (re)discover your true voice during four unforgettable days in July on the beautiful grounds of SUN DOOR YOGA. Explore what you want from life, and how to voice it to the world. To keep this event an intimate and highly personal retreat, the number of participants will be limited to 12. Also, before the retreat, we’ll hold an online meet-up with each participant to get know each other before our time together on Hornby. This also gives us the opportunity to clarify a purpose for your retreat, discuss the things you’d like to explore, and start defining the direction you’d like to go. During this first meeting, we’ll also provide information about what you’ll need for the retreat, take note of any dietary restrictions or other individual requirements, and just try to make your stay as comfortable as possible. When you’re here, we’ll happily advise you on things to do during your free time, so you can make the most of your time on the island. After the retreat, we’ll chat again to follow up on your retreat experience. We know how hard it can be to hold on to a vision and pursue our goals once we go back into our routine. We want to support you in your journey. 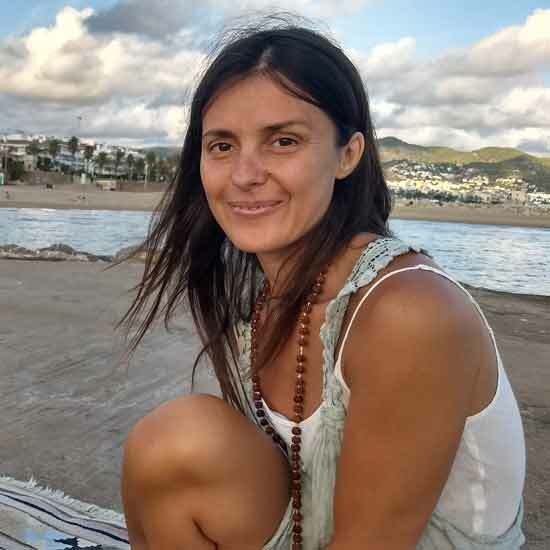 Esther Palleja is a voice coach, somatic bodyworker, and founder of Talk Breathe Touch. She specializes in creating safe environments where people learn to explore their inner world, reconnect with their needs, and regain their balance—using her experience as an actress and voice coach to help people express themselves more authentically. In private sessions, personalized retreats, and group workshops, Esther uses a gentle touch and verbal communication to accompany people through their own life-changing processes and experiences. Marc Cinanni is a musician and writer. After an illness challenged his health in 2009, he began experimenting with chants and focus exercises to strengthen his mind and body. The result was full personal renewal and the formation of Mantranima—a way to share his knowledge with others by combining his love of music and passion for personal transformation. Partners in music and life, Marc & Esther have a 4-year-old daughter who loves finding rocks, riding her bike, and most recently—playing the ukulele. Through guided conversations, and working in groups, we’ll discover how to enhance both our communication within ourselves and with others at the retreat, leading to greater humility, inner purity, and a better idea of how we use our real voice within communities. Shake off learned patterns and discover what it really means to be you. Reconnect with your true voice—the one you speak, sing, and connect to the world with. The birth of every new day is an invitation to live a new version of ourselves. This opportunity is facilitated by coming together as a group every morning in the beautiful Shala at SUN DOOR YOGA to begin the day with intention, reflection, and purpose. Facilitated by live music of Mantranima, participants are invited to chant, meditate, or simply awaken to the beautiful sounds of nature and soft, ambient chants. Much like traditional yoga, Yoga of the Voice allows the practitioner to self-observe and become aware of their own true nature—in this case, their voice. The practice is a combination of chanting and acting exercises, breath work, and hands-on techniques that will help to dissolve the fear of being heard, allowing the participant to better own their space in the world. The retreat includes three delicious vegetarian meals per day. All food items are locally sourced and cooked on-site. Please get in touch to communicate any food limitations. There’s also a small grocery store and restaurants available on the island. Day 1: The voice of the heart, where we’ll learn to connect to the voice we carry inside as well as the inner voice of others. Day 2: Shaping your vision: focus and courage, where we’ll discover how to be seen and heard again. Day 3: Stepping into your authentic life: bringing it all home, where we’ll ground and explore the next steps to give momentum to our learnings from the retreat. Essential somatics and gentle restorative yoga is a beautiful blend that’s combined to help people access deep relaxation, improve their posture, or release chronic pain. A profoundly peaceful experience hosted by SUN DOOR’s founder Diane Smith. The evening is an invitation to be ushered softly into the night. With live music from Mantranima, we offer the opportunity for participants to come together and co-create an uplifting experience where we’re carried by the sound of music and each others’ voices. 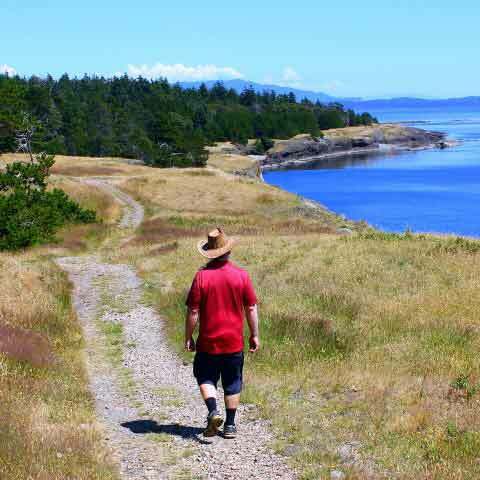 Hornby Island is a treasure chest of natural beauty. Whether it’s bathing in the crystalline water off a white sandy beach, walking through a lush green forest, or sipping a cup of tea by the coast, the friendly community offers a space of discovery, reconnection, and deep repose. Therapeutic sound brings the body-mind-spirit back to its natural state of flow. Experience profound relaxation and connection to your essential vibrational nature on a sound healing journey with crystal alchemy singing bowls, powerful vocals and more. Hosted by Chelka, Hornby TCM Practitioner and Sound Healer. For those who wish to pause and collect themselves during the day, a time for silent meditation will be offered in the Shala. Because of its location, Hornby Island attracts stargazers from around the world. After evening chanting, participants can sit and observe the night sky, or bring a blanket to lie down on the lawn while observing the light, patterns, and immensity of our world. 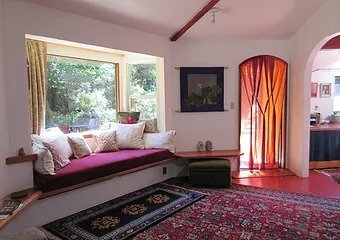 Semi-private accommodation is provided for all retreat participants. This includes rooms inside the site’s eco-home, caravan-trailers, and a cotton bell tent. Accommodation is allocated based on personal needs on a first come, first served basis. Tucked in the middle of the Salish Sea, Hornby Island is known as the Hawaii of Canada. Home to white sandy beaches, clear blue water, lush forests, and starry night skies, Hornby reveals itself to you through the many quaint quarters of this tiny paradise. But its true treasure? Its people—the artists, musicians, artisans, and wild-spirited souls who make this precious land their home. Early Bird 10% discount until March 31st. Stepping into your authentic life: bringing it all home.